Even as Kennedy announced that the Moon would be the destination for America's aerospace community, managers still had to decide how to make the trip. At first, two competing methods, or modes, were investigated, both of which had powerful advocates and detractors. A third plan struggled for attention and was often mocked. The first plan was known as direct ascent, and though it appeared at first glance to be the simplest solution, it was the most audacious of all. It entailed the development of a truly monumental booster that would hurl a large spacecraft directly at the Moon without pausing in Earth orbit. This Apollo ship would carry everything needed to complete the mission and get back home; landing gear, supplies for the trip and for the lunar surface, and engines powerful enough to lower and then raise the entire vehicle from the Moon. This was a brute-force method, whose proponents argued was the simplest and easiest proposal to realise within the time allowed, avoiding complexity where possible. On the minus side, however, it would have required the Nova, a rocket of simply stupendous proportions to execute - one that would have dwarfed even the mighty Saturn V that was eventually built. For a time, the direct mode was championed by Robert Gilruth, leader of the Space Task Group, which was a small organisation within NASA that included Faget and Maynard and which would form the core of the Manned Spacecraft Center, now renamed as the Johnson Space Center in Houston. The charismatic German rocket engineer Wernher von Braun - the director of the Marshall Space Flight Center in Alabama - had different ideas. He and his team had been brought to the United States after the war and had helped the US Army to develop its first useful rockets. They then formed part of an effort to create a family of large launch vehicles collectively known as Saturn. While some at Marshall welcomed direct ascent and the Nova, von Braun preferred Earth-orbit rendezvous (EOR) believing it to be more attainable. This called for a rapid sequence of launches of the smaller Saturn vehicles to place into Earth orbit the components of the ship, where they would be assembled and sent on towards the Moon. When the launch facilities at Merritt Island near Cape Canaveral were being laid out by von Braun's compatriot Kurt Debus, EOR appeared to be the best way to achieve the lunar goal. The perceived need for launches to occur in quick succession, and the associated processing, defined the layout of the new Moon port. In the event, these capabilities would barely be brought to full use. As engineers and designers studied the options, huge problems became evident in both of the favoured modes for getting to the Moon, and these shortcomings threatened to slip the success of the project past the deadline set by President Kennedy. A major headache was the sheer size of the Nova rocket. Building, transporting, fuelling and finally launching such a gargantuan rocket was becoming difficult to comprehend. One engineer put it in plainer terms: ''It would have damn near sunk Merritt Island.'' Contractors had to make a start on building the launch facilities and the type of launch vehicle to be used would be crucial to their layout. One of the larger Saturn derivatives on the drawing board, the C-5, itself around 36 storeys tall, seemed to be a much more sensible solution. This vehicle was later renamed Saturn V, pronounced as 'Saturn Five'. Both schemes envisaged sending a single large Apollo spacecraft to the Moon, and its shape and layout were proving to be an equal headache. Seated in a heavy conical Apollo command module mounted at the top of a huge rocket-powered landing stage, the crew would find that all their windows looked towards the sky when, like all pilots, they would rather look down at their approaching landing site. It slowly dawned on them that the CM's shape could hardly have been less suited to a lunar landing. 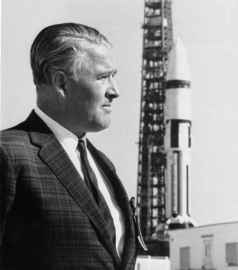 Wernher von Braun beside an early Saturn launch vehicle. Gilruth's Space Task Group was based at NASA's aeronautical centre in Langley, Virginia at this time. Another research group at Langley, who were studying possible trajectories to the Moon, had pointed out the huge weight savings that could be made by using a lunar parking orbit within the mission. In parallel with engineers at Vought Astronautics, they devised a daring but highly efficient means of travelling to the Moon using only a single Saturn C-5 vehicle. It was this third mode that eventually won the day and became America's path to a new world. You knowthere's something about you I like. 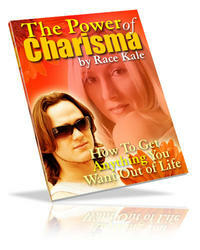 I can't put my finger on it and it's not just the fact that you will download this ebook but there's something about you that makes you attractive.